m SG 1/10. 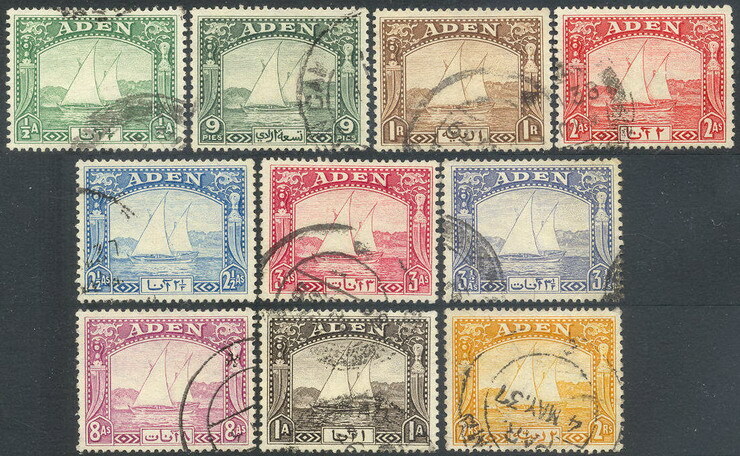 Dhow 1937 - 1/2 d to 2 s. (£ 74). YY SG 16/27. 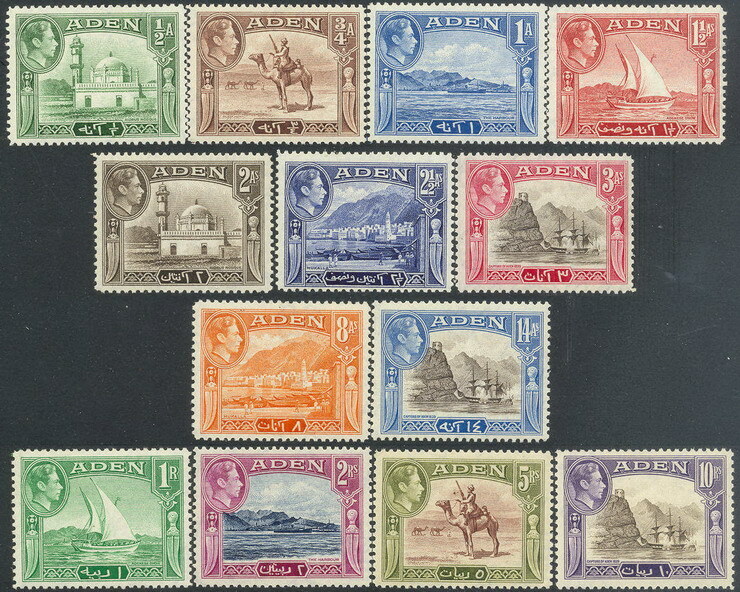 Definitives 1939 - complete set. (£ 80). YY SG 36/46. 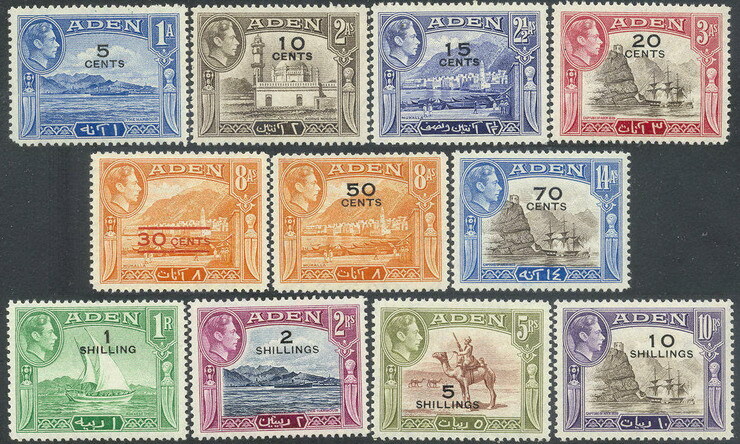 Surcharges 1951 - complete set. (£ 70). YY SG 48/72. 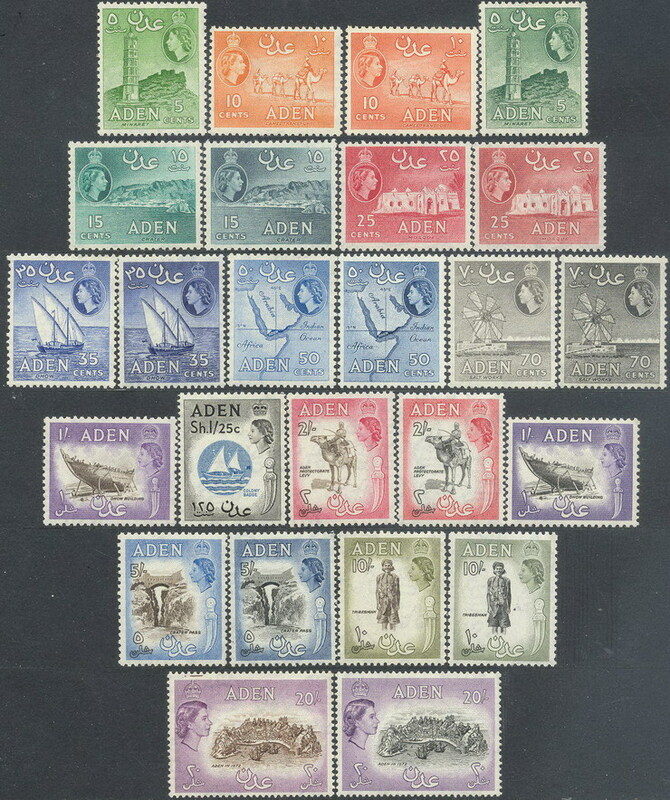 Definitives 1953 - complete set. (£ 130). YY SG 85. 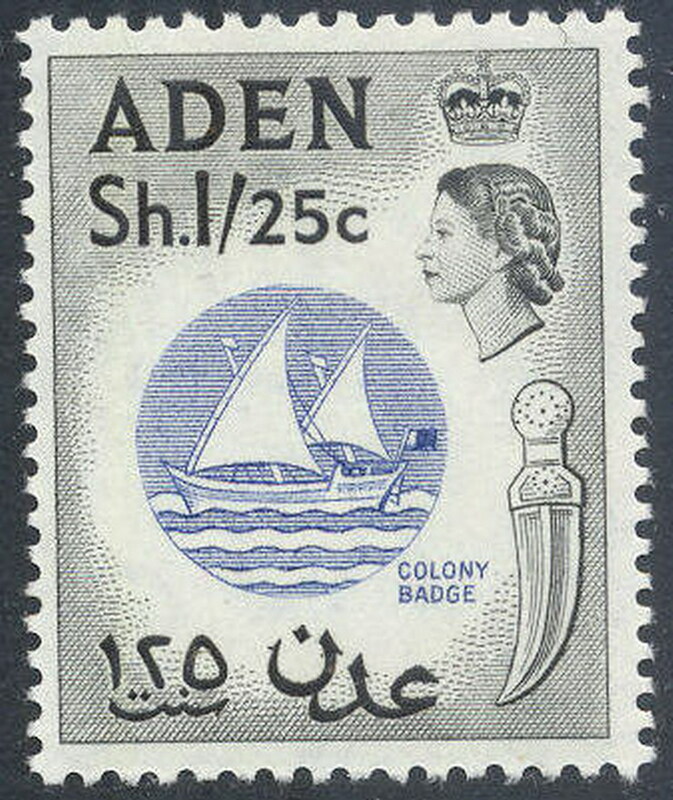 1s 25c Elizabeth 1964. (£ 18).